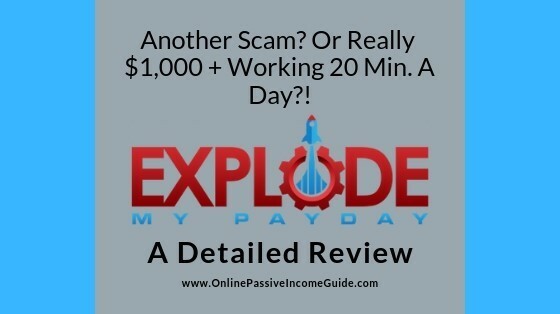 Explode My Payday Review - A Scam Or Truly $1,000/Day Working 20 Minutes? Can you really make over a $1,000 per day working only 15-20 minutes, right from the first 24 hours of using this “system”?! Or is Explode My Payday just another scam? Join me in this detailed Explode My Payday Review in order to know if it is a legit program or just a waste of money and time. I have reviewed lots of these super-magical “done-for-you, fully automated” systems and programs that promise you to be able to make lots of money on autopilot or working only few minutes a day, and sometimes, doing nothing. And I know how tempting it feels to want to believe them and “give it a try”, especially when you have no clue on how to make money online. But I can tell you that these claims and promises are completely unrealistic and, as I will show you below, the video on the sales page of Explode My Payday is more than enough for you to know that they are like many other scams and low quality products, just after making money from selling you their “system”. I will show you why I DON’T recommend you to buy this “system”, and I will help you know what is the right way to make money online through a 100% genuine and legit method that many others follow successfully and make money with, including myself. To be fully transparent, I didn’t risk my time and money in purchasing the program due to the reasons I will show you in the “What I Don’t Like About Explode My Payday” below. And anyway, after reviewing many similar products and programs in this industry, it becomes easy to know what the program is about and to know if it is legit or not just by watching the video and reading the sales page. But in brief: From the screenshot above that they share in the video, it is clear that Explode My Payday is a program that is supposed to help you make money doing affiliate marketing. And if you don’t know what affiliate marketing is, then in brief: it is a performance-based marketing model where you promote other people/companies’ products and get paid commissions on every sale you bring. And this is my favorite way of making money online. It is not as how the video of Explode My Payday explains it. This reminds me of some other “done-for-you” and “completely automated” systems and software programs that promise you to make thousands of dollars per week or even per day once you start using them, sometimes doing nothing and sometimes working only few minutes a day. Most of them claim that you can make thousands of dollars a day or a week working only few minutes or hours right from the beginning. And as someone who has already tried many of the ways of making money online, especially Affiliate Marketing, and as someone who came across many of these programs and systems, I can tell you that these claims and promises are completely far from the truth. And the ones who make most of the money from these programs are the ones that are selling them to you! There’s really no such a thing like a completely automated, done-for-you system that can make you money without you making any effort or adding any value. That’s not how you make money, whether online or offline. I will show you with the screenshots below why this is a lie! So, How Does Explode My Payday Exactly Work? Honestly, who knows what they tell you after you pay for the program? The say that once you join, the system will be setup automatically with your information and that somehow, magically, it will start directing 96% of the web traffic to your website (what website?!! LOL!) and you will start making money! 96% of the web traffic to one website?! Because of a “Loophole”?!!! That’s one of the worst lies I have ever heard while reviewing these programs! Just by paying the first 47 dollars, a website creates itself out of nothing, and it starts getting traffic and make you commissions without you touching anything, without writing reviews, without SEO, without Paid Advertising, …etc. Oh, I remember, you work 15-20 minutes a day. LOL! And I can tell you that this doesn’t make sense at ALL! That is not how affiliate marketing work, and you can’t make $1,000 a day right from day one, even if you work the whole 24 hours. Affiliate Marketing is a legit method, and my favorite method of making money online, but it takes real effort and time before you start making any money, then how about making $1,000 a day?! The only reason they tell you these exaggerated results is that they are so desperate of making you purchase their program. If their program was going truly to bring such results, then why would they fake the testimonials? And why would they hide the real personality of the real program founder?! And again, affiliate marketing is a great way, and in my opinion, the best way to make money online. But it doesn’t work as they describe it. You don’t just “plug in the system”, work 15-20 minutes, and make $1,000+ from day one. Sorry! That’s NOT how affiliate marketing work! If you want to learn affiliate marketing, then you need to learn it the right way, from a legit program that is proven to teach you how to do it the right way, and one that many REAL people have made success with, and one that has REAL founders, such as Wealthy Affiliate University for example. Research the market and select a profitable niche for your affiliate marketing business. (a group of people with a common interest, job, hobby, problem, …etc.). Find what problems people in that niche suffer from, or what products could improve their lives. (products from Amazon or other places). Start a blog and create content consistently recommending the useful solutions and products that you found, and share your affiliate link (unique link) in the content you create that will direct people to the products you found. Publish your content properly, and when people in that niche find it and read it, they might buy what you recommend through your link, and you get a commission from the seller. Yes, you don’t need a previous experience to start, but you need to put the time and consistent effort in order to learn and apply what you learn before you make any money. And not by working 15 minutes a day and expecting to make money from day one! And again, it’s my preferred way for making money online as I mentioned earlier, and that’s why I encourage you to do affiliate marketing. But I want you to start with the right mindset from the beginning, so that you work consistently until you succeed. While if you believe what these guys promise you of unrealistic results, you will end up with a big disappointment from day one when you discover that they have been lying to you! Not to mention the hidden costs that they don’t tell you about right from the beginning. This is why I encourage you to learn it from the best in this industry, Wealthy Affiliate, who are fully transparent and honest with you, and not from someone who lies to you right from the beginning just to get your hard-earned money. And in addition, Wealthy Affiliate provides you not only with the best training for affiliate marketers, but also with all the main tools for affiliate marketers that you will need for NO EXTRA COST! 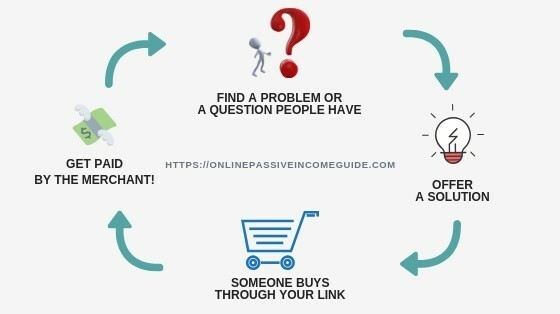 And if you are completely unfamiliar with the Affiliate Marketing concept, then you can read my Ultimate Making Money Online Guide that will give you more insights and why is it the best method for making money online! Yep. This lady for example is a paid actor that you can get from fiverr.com in order to record videos for you saying what you ask her to say. (the screenshot on the right side is from her profile there). I have seen here giving many other testimonials for other programs, and the same applies to the other guys. If this system was bringing such super results, then why don’t they bring real testimonials from people who succeed with it?! The image for “Meaghan Harper” is actually a royalty free photo that you anyone can buy and use for their own purposes. Just do a simple Google Reverse Image search and you will find that it has been used on many websites for different purposes. Then who is the real founder of Explode My Payday?! 3. It Doesn’t Make Sense At All! As I explained above, they tell you that you can make over a thousand dollars from day one working only 15-20 minutes, and with no experience. And they tell you that there’s a loophole that brings you 96% of the web traffic, thanks to their “completely automated” system. And I can tell you that there has never been and there will never ever be something like that. They don’t tell you what you get exactly. 5. Sell Your Information! WTF?!!! On the sales page, they tell you that you are giving them the right to sell your information to others, and you are going to accept that?! Get ready to get your inbox blasted with offers to purchase other scams and crappy products. the video, the say that this is the last day! They are so desperate because they know that you will look for reviews and you won’t trust them anymore. Who Is Explode My Payday For? For whoever believes that there’s such a done-for-you, completely automated system that makes you $1,000+ a day working only 15-20 minutes, right from day one! The front end is $47 dollars, and if you enter your email address and go to the next page, and then, you try to leave the website, they will offer you a $20 discount. OTO #1: Big Bundle $195. And in addition to that, you will mostly need to pay for the external tools that you will need in order to build your website and host it. Conclusion – Is Explode My Payday A Scam Or Legit? It depends on how you define a scam. If you actually get a training in return of the money, then we can’t consider it a scam. Because of the completely unrealistic claims of making so much money with so little effort, fake testimonials, fake founder, hidden costs and the fact that they will sell you information to others, then I can’t recommend it at ALL. If the program talks about anything, then it’s about affiliate marketing, which is again, a great way, and my favorite way of making money online. But unfortunately, these people are ruining it with these claims and lies in order to get money from people, and then, give a bad reputation about this business model. A 100% LEGIT Alternative To Explode My Payday? As I mentioned earlier, what is claimed by Explode My Payday that you make $1,000+ a day working only 20 minutes right from day one is completely unrealistic and doesn’t make sense at ALL. Making money online, like it is offline, requires real work and consistent effort before you make any money, whether with affiliate marketing or with any other model. And affiliate marketing is one of the best ways of making money online and a newbie-friendly one. But again, it requires to learn and consistently apply what you learn before you make any money. And this is what you can learn at my recommended alternative to the Explode My Payday System, which is a platform that is called Wealthy Affiliate. At this platform, you can find all what you need in order to learn & apply affiliate marketing. And you will get all the necessary training, tools and support at one place without paying EXTRA cost. And even better, you can try it for FREE before you pay any money! No Credit Card Required! Risk FREE! 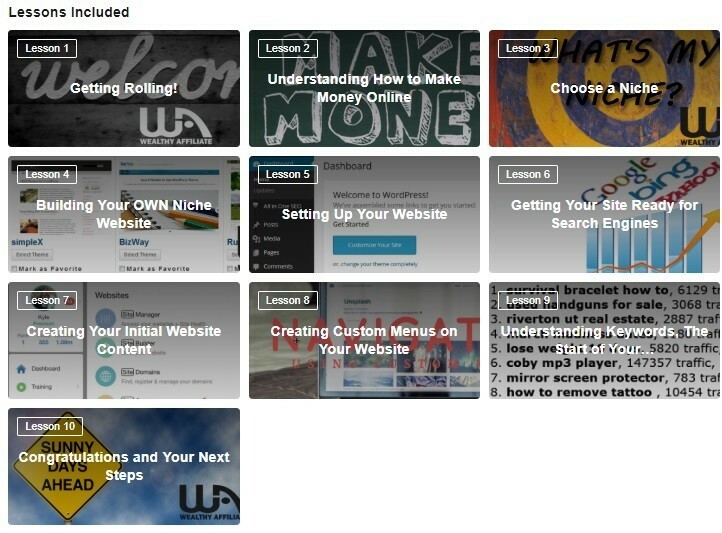 This training alone will teach you how affiliate marketing exactly works, and you will be able to create you first free website in 30 SECONDS! (ZERO Technical Knowledge or Coding required). And it will teach you how to build a REAL business and brand and how you can monetize it with affiliate promotions. If this is only the free membership, then imagine what you get for the paid membership! This platform is really the best place to learn affiliate marketing and apply what you learn at the same time with all the tools, support and mentoring at the same place for NO additional cost. It is the place where I learned this great method of making money and this is why I recommend it for YOU. So, if you really want to learn and apply this method and you want to start a real business and stop wasting your time & money on the magical “push button” or “done-for-you” systems that don’t exist, then you can join this platform even for the FREE membership through my Wealthy Affiliate Review here. Go and take action now and stop wasting YOUR Time & Money looking for that magical “push-button” solutions. These don’t exist!